Did you ever think about how there’s creativity in translation? Translation is an act of adaptation and of negotiation and, as such, it is a creative act. Translators are engaged in a process of negotiation between two cultures, two languages and two different mindsets. A process which calls forth a profound understanding of the language they are translating from and a fluency in the language they are translating into. The complex and creative process of adapting one text into a new reality, mediating between your source and target language insinuates that a translator’s task is not only an intricate and a demanding one, but highly creative. Translation is often a task of solving “context” problems. That is where creativity “chimes in”. Before illustrating those ways in which translation is a creative act and how translators manifest their creativity, I would like to share three facts which emerge when exploring the act of translation from a creative perspective. Translators are faced with a complex task: Use different words to achieve the same meaning. This naturally suggests that excellent writing skills are crucial and that what translators are engaged in, after all, is a process of rewriting. In translation, the “writing” element is the basic raw material translators use for their work. Considering that writing is a creative act, there can be no doubt that, equally, translation is a creative act as well. A creatively written text is a text creatively translated. Let’s bring in an example from the world of art. An artist who replicates an existing art work, for example, a Vermeer or a painting of a living artist, would never be in communication with the artist of the original piece in order to get the message right and better understand the text! Replicating is an act of mere copying. If translators were copyists and if their work was simple, as it is often thought, there would be no such thing as copyrighted translated literature! Translators (and not necessarily literary ones), therefore, need to be able to plough into the text they are working on so that all possible nuances are taken into account before adapting the text for a new audience. A task which cannot, under normal circumstances, be absolutely perfect since the concepts within a text are embedded into a culture and the language spoken by the people of that culture. Texts, therefore, cannot be rewritten 100% accurately in another language. Each language works differently. Interested to see some creative translations of popular brand names? 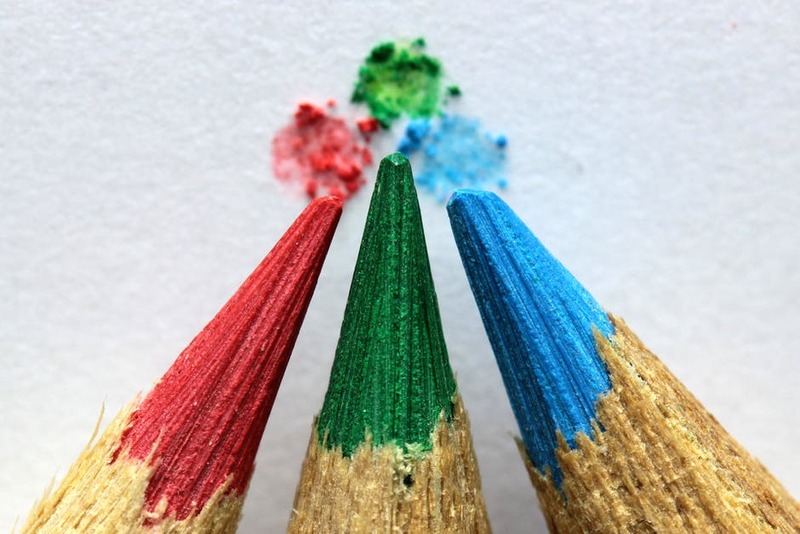 Take a look at a related post- 5 Types of Content That Will Impact the Way You Translate. Translation is not simple. It has often be referred to as an impossible task and it is not surprising to come across notions such as “translator as traitor”. The world has a biased perception of translators. Working hard, in the shadows, invisible and often confronted with prejudice, they face the risk of getting lost in translation, not to mention a variety of other issues and concerns regarding their profession as a whole. It is, in fact, by means of the combination of skills translators are endowed with, that they will better overcome the challenges of their profession. When the audience reads a translated text, it cannot possibly know all the layers and dot connections the translator has creatively employed to produce the text. It is, therefore, not a surprise to come across translators with an admirable set of skills, which are either an extension of their work and/or a question of their nature as creatives. Translators will always instill something personal in their work. The outcome is directly linked to the person who produced it. Each translator approaches a text in a different way. Should a text be given to more than one translator, then we would witness more than one translation version. Creativity is inherently personal and through a personal translation style, translators manifest their creative approach. In a translation, there are many dots to connect before the best result is achieved. The tools (dots) translators inadvertently mix together span from a feel of language, translation and writing skills, in-depth understanding of the cultural context in play, the ability to read between the lines to the more technical aspects of their work such as CAT tools, glossaries, resources. Translators often provide copy writing services as a way to diversify and as a natural extension to translation. They could even be considered brilliant copywriters in that they are able to approach texts from a “translator’s perspective”, focusing on clarity and precision avoiding wording that can be misinterpreted. There are many translators who are also artists, in the true sense of the word. Not surprisingly, a tad of research has revealed a creative “alias” for quite a few linguists who, besides their main professional activity, are engaged (either as a hobby or on a professional level) in creative activities: a photographer, a hard rock singer, a designer of book covers, a branding expert, an Italian tenor, a singer with studies in vocal music, a poet/baroque trombonist, a novelist, a painter and more. Art is an outlet, a way to express emotions and concerns. An artistic activity could well be paralleled to the translating psyche which elaborates, adapts and metamorphoses information, a “source”, into something else, a “target” or in the language of an artist: a painting, a photograph, a novel. Art is (also) about translating feelings. And, truth be told, highly qualified linguists can be remarkable at drawing or playing the violin and still be sought-after professionals just like anybody else. Translators do not read superficially. They assimilate and elaborate information as part of their work process. Knowledge inspires. The more you know, the more you want to explore, create, find solutions. Translators are creative because they soak up the knowledge in the world. Language is indisputably creative. Like an artist who uses colours, mixing them in combinations that serve the purpose of an art project, translators will similarly use language as a tool with which to produce their work. 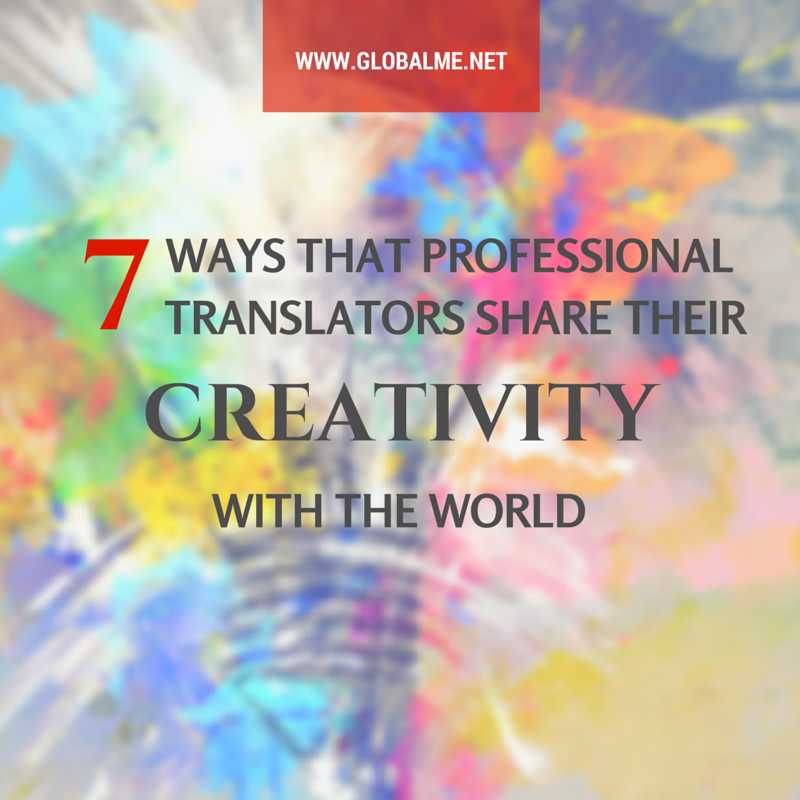 Considering translators know at least two languages, their creativity is stimulated even more. They are enriched by languages and they know how to complement possible “voids” in one language with information from another. Creativity is more likely to surface when speaking more than one language. When it comes to marketing, branding is the par excellence paradigm of translators’ creativity (branding usually applies to freelance translators/business owners and not all translators). Through the creation of a brand, translators connect those dots that will help communicate their message to clients and prospects. Their ability to translate the essence of their services into a brand name, design, colours, marketing copy is simply admirable. Translators’ creativity is evident on many levels and it requires more attention and appreciation, first and foremost by translators themselves, so that they can firmly and confidently enrich not just their own world of possibilities, but the message they give out to the world. Translators are creators. Did we miss any levels of creativity in translation? What do you think the most important skills are for translating content effectively? Join the conversation here or on our social channels. Want to find out more? Visit our translation services page or contact us today. You always get more from your translator other than his skills and competency in languages and culture. A translator has many talents and must be creative in many ways to produce a translation project that is fit for a client’s satisfaction and needs.